Enjoy Anne McAllister's Books? Tell us Why and Win a Free Book! 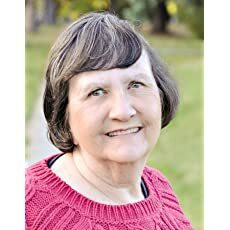 Welcome to Anne McAllister's BookGorilla Author Page! We're working hard to bring you the best deals ever on Anne McAllister's Kindle books. If you’re a Anne McAllister fan, we'd love to have your help in making this author page special. Tell us, in no more than 150 words, why you think Anne McAllister is great. Use this webform to send us your submission, and if we select yours we'll offer you one of Anne McAllister's books or a Kindle Gift Card as a free gift! Thanks! Please enter your email address and click the Follow button to follow Anne McAllister! One-Click Buy: March Harlequin Presents by Anne MatherAnne McAllisterCatherine GeorgeCathy WilliamsKim LawrenceLindsay ArmstrongLynne GrahamNicola MarshTrish MoreyTrish WylieHeidi RiceRobyn Grady released on Mar 01, 2008 is available now for purchase. One-Click Buy: June Harlequin Presents by Amanda BrowningDiana HamiltonEmma DarcyHelen BrooksJacqueline BairdKate WalkerLee WilkinsonSharon KendrickAnne OliverNatalie RiversNatalie AndersonSusanne James released on Jun 01, 2008 is available now for purchase. First comes marriage, then, then love. Enjoy three passionate tales--His Wedding-Night Heir by Sara Craven, The Antonides Marriage Deal by Anne McAllister and Wife Against Her Will by Sara Craven--for one low price!